With technology continuing to change, it’s important that you keep up with it. 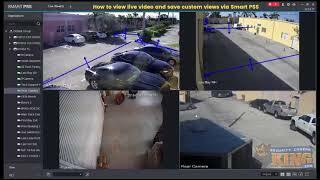 One of the ways we help is by giving you the ability to continue using your existing security cameras while adding new, higher resolution cameras with more advanced features. With the PENDVR-ELE16C-S, that’s exactly what you can do. This 16 channel recorder from our Elite series works with older formats like Analog and the latest CVI, TVI, AHD and even IP Network cameras. That’s 5 different technologies out of one machine and you can’t get much more versatility than that! 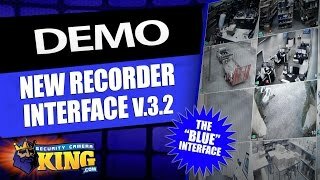 There’s something about this recorder that makes it unique and that is that it’s capable of being used as a 16 camera CVI, TVI, AHD or Analog DVR with up to 8 additional IP Network cameras to 5MP. Now here’s the really unique part . . . you can actually use this as a straight NVR and have up to 24 IP cameras at up to 5MP each with 96 Mbps incoming bandwidth. If you decide to go the CVI, TVI or AHD route, you can record in 2MP resolution at 15fps or 1MP resolution at 30fps and if you want to use Analog you can record at 960H at 30fps. Now that’s versatility for you! No need to get rid of those older cameras if they’re still doing their job. Just get a DVR that’s capable of growing with you! You’ll have plenty of room to store all of your security video footage since this DVR has room for up to four hard drives up to 8TB each. With a total of 32GB of potential storage space, you would think that you have enough room however, if you don’t . . . there’s always one port specifically for an eSATA drive and you can also use one of the 3 USB ports to save footage to a flash drive. This really comes in handy if you need to share a video clip with the police or someone else who doesn’t have direct access to your networked recorder. Don’t forget to include hard drives when you add this recorder to your cart so we can install, configure and test them before shipping your order out to you. This camera has an embedded processor and its own Linux OS so it acts as a self-contained unit that doesn’t need any additional software or computers to operate. 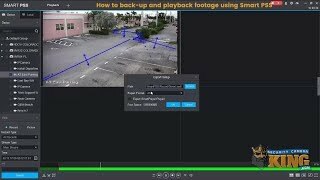 There’s an easy to use OSD (On Screen Display) that guides you through setup so you can easily configure all of your preferences for alerts, alarms, and even IVS (Intelligent Video System) settings that allow for detection of things like missing or abandoned objects, tripwire analytics, and even face detection. 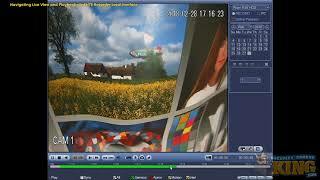 You can choose to connect your DVR to a monitor using one of two HDMI ports or a VGA connection and you can connect one camera to the TV out to use as a spot monitor. 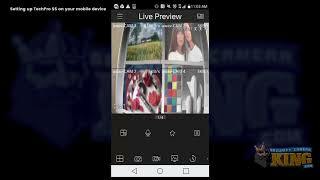 Once setup is complete and your DVR is connected to your network, you’ll be able to view your cameras remotely and make changes from anywhere that you have access to an internet connection. With a wide range of features, you can also count on this DVR to work in conjunction with your cameras and additional devices. With 16 alarm inputs, you can attach accessories like PIR motion sensors, magnetic door contacts, and even smoke detectors that can trigger your DVR to record based on preset selections. With 6 alarm out relays, these accessories and your cameras can be set to trigger alarms, buzzers, lights and numerous other products and can even alert you via email when these events occur. You need to be able to rely on your security system and we back this up with a 2 year warranty, FREE US based tech support and FREE remote monitoring apps!